Chicago rapper Nnamdi Ogbonnaya has never been one to pretend that he’s normal. After all, the name of his most recent album is Feckin Weirdo, which becomes an apt descriptor as the album begins jumping between R&B horn blasts and pitch-shifted vocal, all united by Ogbonnaya’s acid trip imagery. The A.V. Club is premiering the video for “Vasectomy”—one of Feckin Weirdo’s oddest tracks—which sees Ogbonnaya’s voice distorted to such a low register it barely registers as human, instead taking the shape of an unsettling rumble, as he tells a tale about traveling back in time to give his father a vasectomy. 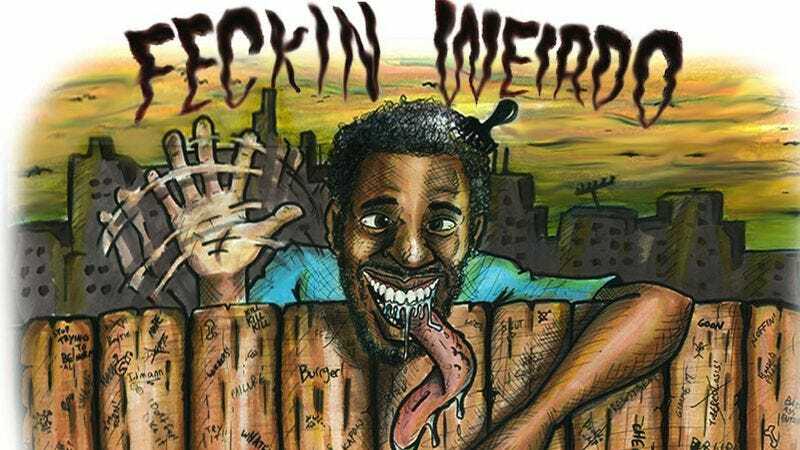 The video is equally as odd, with bright colors offsetting the distorted, cartoon version of Ogbonnaya’s face as, making it one of the most bizarre offerings from an artist who is never at a loss for originality, even if the result can be a bit alienating.